What it dew Trillions! 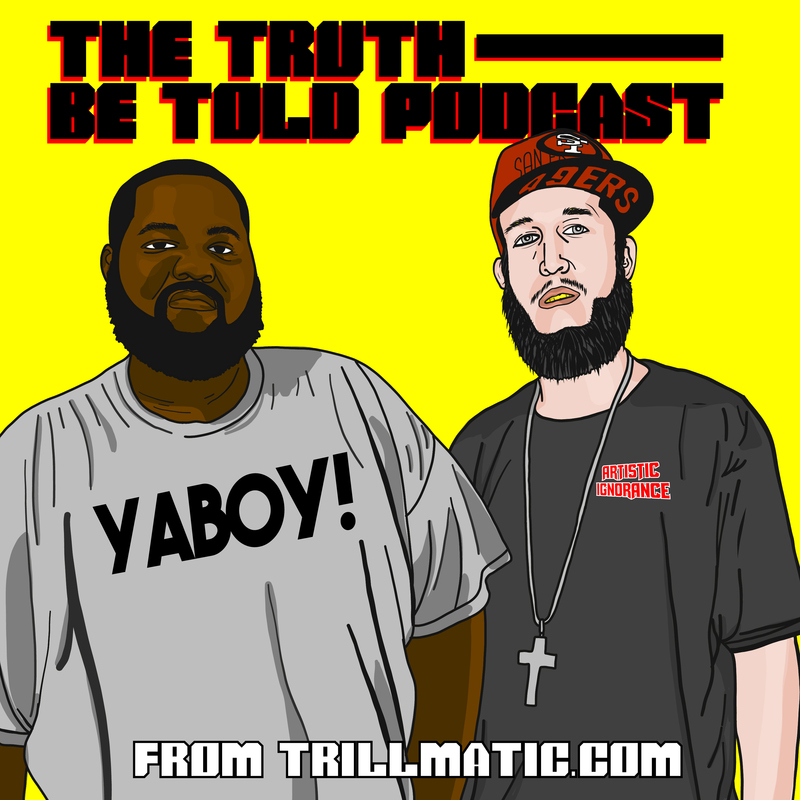 Back again with episode 90 of the Truth Be Told Podcast from Trillmatic.com hosted by Riffa & Bigg UU. Thanks for supporting your favorite Hip Hop podcast! Be sure to leave a 5 star review! Boom Trap: Lil Yachty versus Joe Budden bounces back. Yachty wears ‘F**k Joe Budden’ shirt at a concert and is Desiigner going to be making a comeback? Respect Your Elders: Killa Season is here! Cam’ron gears up to release a new mixtape and tour and we break down who’s better from Atlanta: T.I. or Ludacris? For The Culture: Pharrell, N.E.R.D. & Rihanna’s new song ‘Lemon,’ new N.E.R.D. album on the way and Migos want to be included in the new Lion King live action film. Should they be in the movie. Artistic Ignorance: Lupe Fiasco debuts the sequel to his classic track ‘Hip Hop Saved My Life’ at a show while in Dallas, Texas. Can this song be better than the original? Should he leave it alone? Hip Hop Album Reviews this week: Smoke Dza, Offset x 21 Savage x Metro Boomin & Lute.